a note from apple seeds: FREE back to school event! Back to school event at apple seeds Chelsea next Saturday, September 7th! 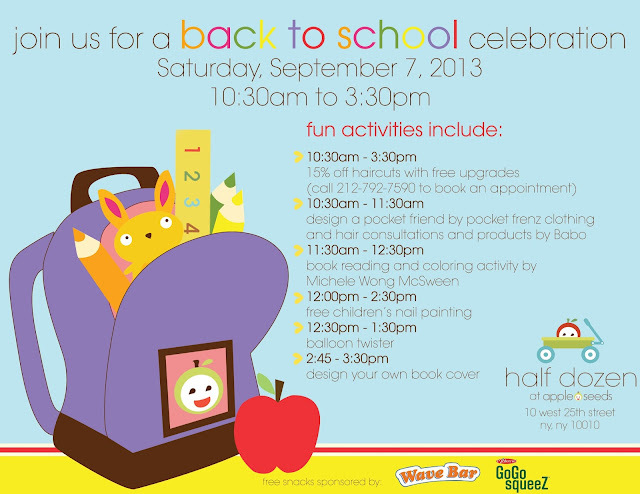 Join us for special promotions at the half dozen kids' store while the kids enjoy FREE special activities! Is this event just for apple seeds members or is it open to the public? The back to school event is open to the public. We hope to see you there!